With a simple philosophy of infusing a creative spark into each and every job, Kaufman has built a reputation for high caliber, noteworthy work that is highly sought after in the Hilton Head area and beyond. Perhaps this is why readers of the Island Packet newspaper voted Rob Kaufman the “Best Photographer on Hilton Head Island” in the 2005 Readers Choice awards.With a primary focus on commercial and editorial photography, Rob Kaufman of Kaufman Photography is based on Hilton Head Island, SC and serves clients throughout the Southeast. Using tried and true photography techniques, as well as the latest in digital technology, Kaufman provides eye-catching images for an array of different applications. He’s had images published in noteworthy national publications such as People, Guideposts, Financial Planning, Diversions and Carolina Homes & Interiors. Commercial clients include the PGA Tour’s MCI Heritage golf tournament, New York Times best-selling authors John Jakes and John Maxim, and nationally renowned recording artists Marlena Smalls and the Hallelujah Singers. Have cameras, will travel – On the home front, Kaufman Photography has access to portrait studio space as well as dozens of scenic locations in the Hilton Head/Savannah/Beaufort area. When the action requires hitting the road, Kaufman can travel anywhere with an arsenal of 35mm, medium format, large format and digital cameras as well as lighting equipment. 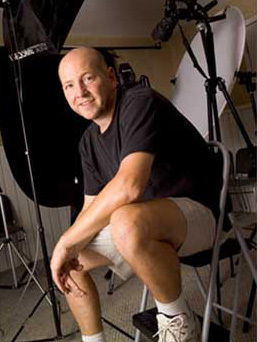 From 1996 to 2002, Rob Kaufman served as both chief photographer and editor of Hilton Head Monthly magazine, a highly regarded and nationally circulated publication. During his seven years on staff, Rob honed his skills in many photography disciplines, including architectural, portrait, product and food photography. He now provides his expertise not only to Hilton Head Monthly magazine (he is still a regular contributor), but also to publications, advertising agencies and commercial clients throughout the country.